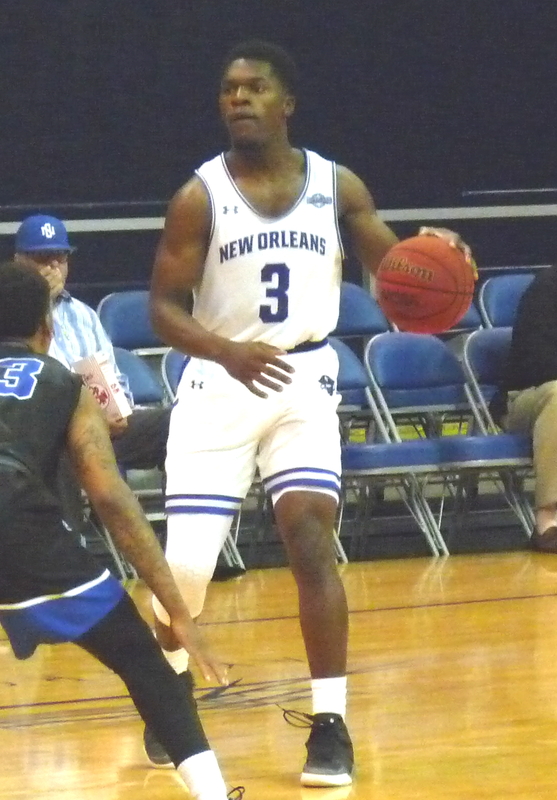 Again playing without indefinitely suspended leading scorer Travin Thibodeaux, the Privateers (14-14, 11-6) fell to Nicholls at Stopher Gym, 78-64. New Orleans, which did have Lamont Berzat and Bryson Robinson back from suspension and Ezekiel Charles back from injury, again fought gamely, leading the host Colonels for much of the first half before trailing 36-32 at the intermission. The game was tied as late as 48-48 before Nicholls cleaned up its generally sloppy play and finished strong. UNO never cleaned up its sloppiness, turning the ball over 24 times. Troy Green put an impressive offensive game together, finishing with 18 points and getting to the foul line 10 times. Robinson added 13 off the bench. UNO will finish the regular season on Wednesday night at Lakefront Arena with a rematch against Southeastern Louisiana.